Here is a postcard of the Flamingo. It shines outside my hotel room. It shines at night and is still shining at 6:00 in the morning when I get up. I love you. 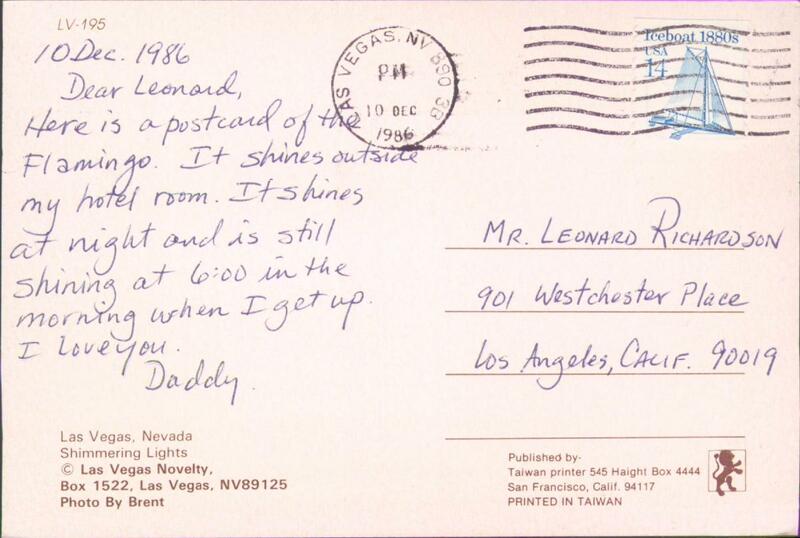 I was obsessed with the Flamingo lights when I was a kid, as other postcards in this collection make clear. 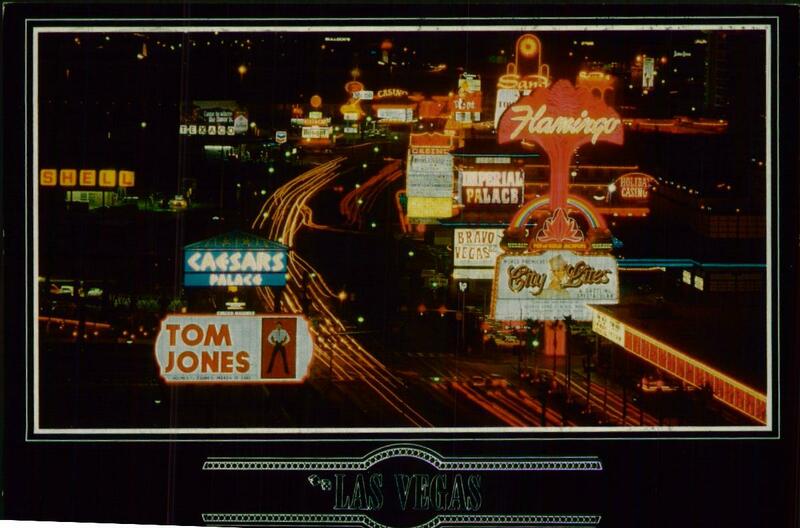 The picture on this postcard is from 1982--the date "March 15, 1982" is visible on the big TOM JONES billboard.